It is so very thrilling to be able to host this giveaway! Thank you to each one who left a comment on the contest blog. Every commenter was entered in a random drawing with a chance to win this remarkably fine lawn mower from Troy-Bilt. What a great gift! Courtesy of Troy-Bilt. They are good people! And ... they make great products. How generous of you to sponsor this mower giveaway. I have been a follower of your blog for the last year.I am a master gardener and I really enjoy your info and pictures. You have the yard that I want! Anyway, I am in the process of separating (after 25 yrs)and starting all over on my own. I will have a small house with a big yard with nothing but grass until I can get out there and change things. Thanks for this chance! UPDATE: A nudge to Ladygrow!!! As of Sunday, December 4 Ladygrow has not responded to me via email and unfortunately I do not have any contact information for Ladygrow. If I do not hear from you by midnight December 5 I will be left with no choice but to randomly choose another winner. Bad news for Ladygrow... good news for the rest of the entries. Update December 6: A new winner has been chosen. Congratulations to Sienna337 who left the following comment and a link-back with an email address. "Meems would be an awesome gift for my husband as our lawnmower died on us recently. My two kids love to play outside every chance they get. They play all kinds of stuff on our lawn soccer, kick ball..etc. Hubby hurt his back and this would be much easier for him to use. Thank you so much for the contest." Disclosure: My reviews and/or recommendations are always my own thoughts. I am being compensated for my partnership with Troy-Bilt as one of the Saturday6 team members. This post is in conjunction with that partnership. 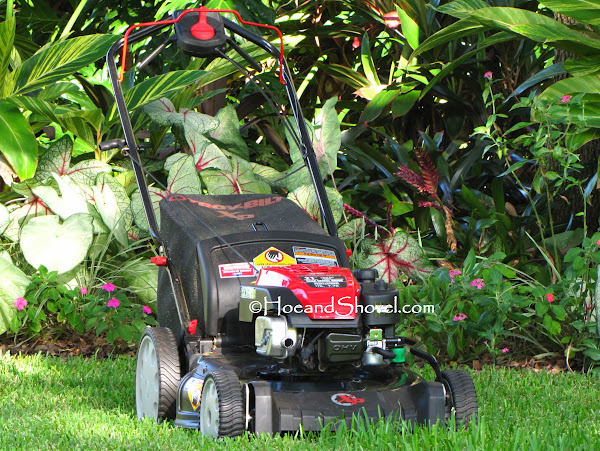 ** Troy-Bilt provided this product as part of my membership. Congrats to the winner. It was a wonderful prize.